Hypotrichosis is defined as the condition of abnormal hair patterns which leads to predominant loss or reduction. Usually, hair growth is normal after birth, but later, hair starts shedding and is replaced by abnormal hair growth patterns. The new hair will be short and brittle without pigmentation. 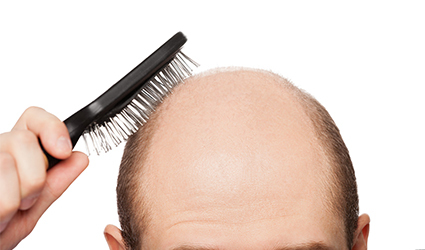 By 25 years of age, there will be major hair loss. Pharma drug firm Alembic Pharmaceuticals has received tentative approval from the US Food and Drug Administration (US-FDA) for their Bimatoprost Ophthalmic Solution. This solution is used to treat hypotrichosis (hair loss) of the eyelashes whereby the length, thickness and darkness would be increased. At present, Alembic Pharmaceuticals is involved in a lawsuit with Allergan in the District Court of New Jersey and the launch of their ophthalmic solution will be entirely dependent on the consequence of litigation. Alembic Pharmaceuticals mentioned in a BSE filing that the tentatively approved Abbreviated New Drug Application (ANDA) is therapeutically equivalent to the reference listed drug product (RLQ), LATISSE ophthalmic solution, which is 0.03 percent of Allergan. By quoting IQVIA sales data, Alembic Pharmaceuticals mentioned that the Bimatoprost Ophthalmic Solution had had a predictable market size of USD 63 million for 12 months by the end of December 2017. Alembic Pharmaceuticals declared that at present, it only has a total of 76 ANDA approvals from the USFDA.